We generally meet on the first or second Wednesday of the month, either at The Exchange opposite Twickenham Station or at ‘pop-up’ local venues. Doors at 6.45pm for a 7.30 showtime.. We do not charge for membership and we are a not-for-profit club. We aim to keep our ticket prices low: around £7 for each film. We welcome any feedback from members – so please get in touch. 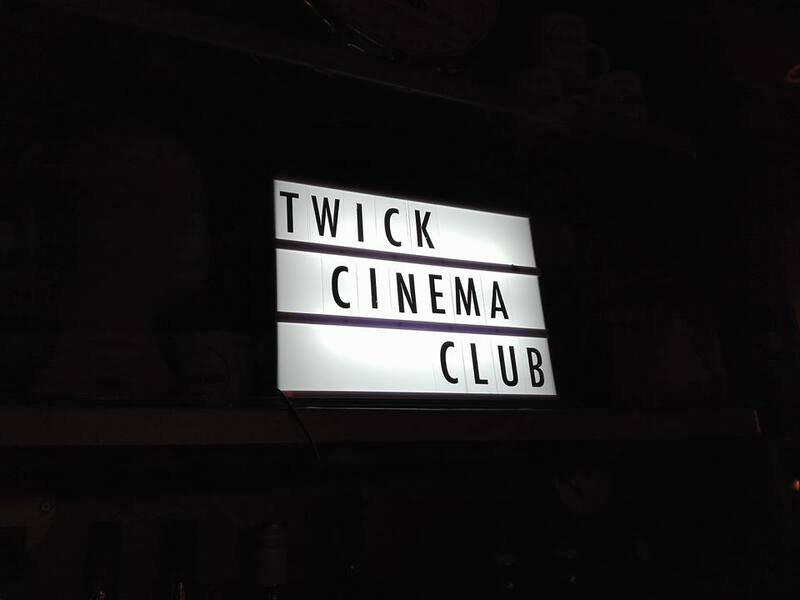 Welcome to Twickenham Cinema Club, run by our members for our members, you are the curator. We aim to show an eclectic mix of cult and classic films from around the world, as well as films our members want to share and explore. Our films will be screened on up-the-minute Blu-Ray projection and sound technology. We will have a chance to meet and chat before and after the showing, as this is a social club as much as a cinema experience. WE ARE A LOCAL CINEMA CLUB RUN BY MEMBERS FOR MEMBERS – YOU ARE THE CURATOR. WE AIM TO SHOW A MIX OF CLASSIC AND CULT MOVIES AS WELL AS FOREIGN AND LOST HOLLYWOOD GEMS. 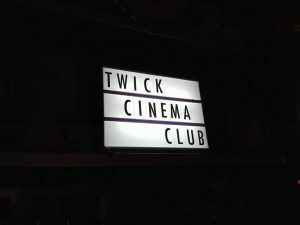 TWICKENHAM CINEMA CLUB IS REGISTERED AS A SOCIAL CLUB IN ENGLAND AND WALES. WE ARE MEMBERS OF ‘CINEMA FOR ALL’ AND THE BFI NEIGHBOURHOOD CINEMA SCHEME. WE ARE NOT FOR PROFIT AND RUN BY LOCAL FILM FANS.